1966. 64 pages. No dust jacket. Red boards with white lettering and blue cloth spine. Binding is firm with no loose pages. 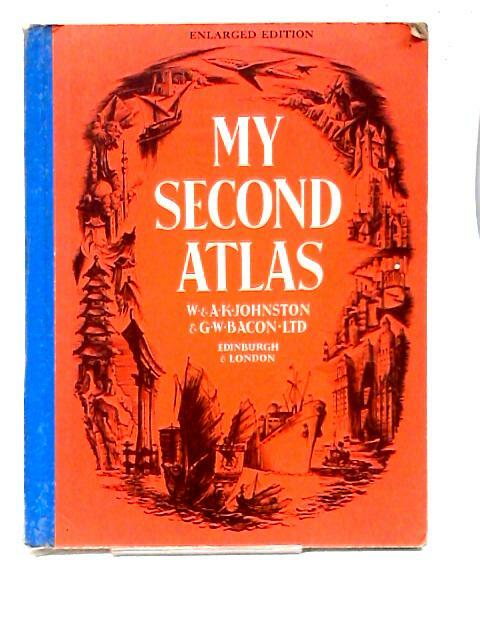 Colourful maps and illustrations throughout. Sticker displaying previous owners details on sticker to title page. Mild tanning and thumb marking throughout. Light foxing to page edges. Some dog-eared corners. Boards have noticeable shelf wear with moderate rubbing, ripping and corner bumping. Some light marking and sunning.